We provide no frill, simple private accommodation, and friendly, personalized service. Our location is ideal, convenient and moments away from most tourist sights, public transportation and attractions. 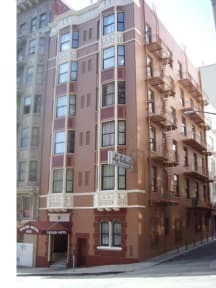 We are just minutes away from the Theater District, Chinatown, Financial District, North Beach, Golden Gate Bridge, Lombard Street (the world's most crooked street) and the Fisherman's Wharf in San Francisco. Dormitory style bunk beds are not available, Look at the individual picture of the room for bed types you are booking. No exception will be made for extra person. Please note: Please note:2 beds = 1 Queen Size Bed, Double = 1 Queen Size Bed, 2 Twin beds = 1 Queen size bed. Maximum occupancy 2 person. 4 Bed Private = 2 Full Size Beds. 3 Beds Private = 1 Twin over Full Bunk Beds.Maximum occupancy 3 person. 4 Bed Private = 2 Full Size Beds. Maximum occupancy 4 person. 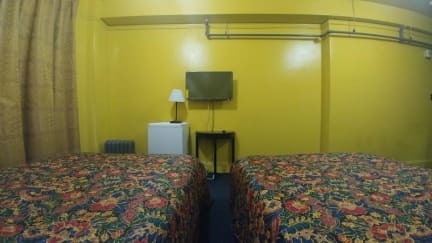 Hostel.com reservation counts queen size beds as 2 separate beds for reservation purpose.. If you want 2 separate beds book room with 4 beds for 2 or more person up to 4 person in room with 2 full size beds. Price does not include Hotel Tax 14% and TDA and MED Fee 2.25%. Room cleaning service available for extra charge. Student ID and/or travel itinerary required. No pets or bicycle allowed. Cancellation policy : This reservation has 7 day cancellation policy. In the event of cancellation or modification with less than 7 day notice, guest will forfeit total room charge plus taxes for the entire reservation. Reservation will not be honor for declined credit card. Rooms are dated but however location amazing!! Owners more than willing to help out and went over and above in service, will return. Excellent place to stay, specially if you are on a budget. It's very close to all the the public transport. The neighborhood its in does look a little rough but it's not to bad at all. I would definitely stay atvthe Taylor hotel again.